Moto is a brand that has redeemed itself from a long line of disappointments with its groundbreaking G-series. 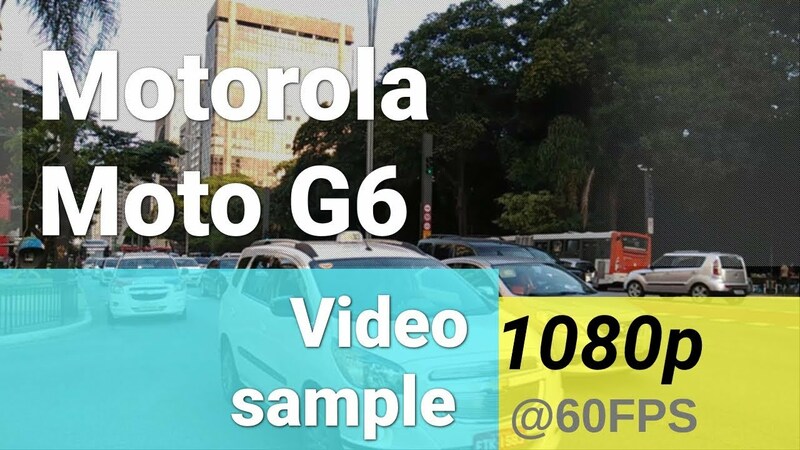 The G-series has always been about providing the users a powerful device in a budget, and the Moto G6 upholds that promise. The Moto G6 will be unveiled on 4th June, but you don’t have to wait till then to know how it performs in day-to-day tasks, as we will be listing all the pros and cons that will let you decide whether to buy this phone or not. This phone is going to go up against strong contenders like the Redmi Note 5, Honor 7X, Samsung Galaxy J7, Zenfone Max Pro M1 etc. There is a lot to love about the Moto G6 but there are some things that didn’t quite leave a mark. We are gonna see how the Moto G6 holds up against the competition and why you should prefer it over the other smartphones in the similar price range. 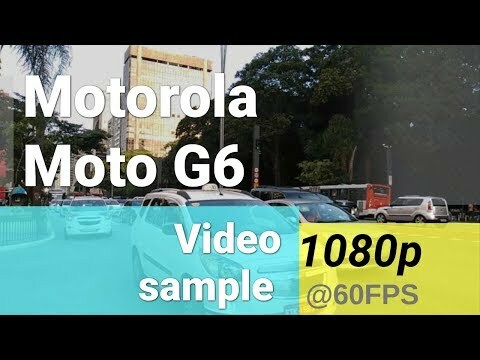 Like the Moto G6? Buy now! The FHD+ Display is the best in class. The Moto G6 incorporates the 18:9 aspect ratio and a higher resolution display than older G- Models. The display is bright and crisp with appropriate viewing angles. It is one of the best displays in this price range in our opinion. The back panel is made of glass and protected by Corning Gorilla Glass 3. The glass-back looks stunning and gives it a design edge with the 3D curved glass. The sides are made of aluminium, to provide extra grip. The 3000 mAh battery may seem less but lasts a full day on moderate to heavy usage, thanks to the greatly optimized Snapdragon 450. The battery will last more than a day on light usage and power users too will not be disappointed. Recommended- Top 5 Best 20000 mAh Power banks in India. The USB-C 2.0 port allows for Turbo Charge(fast charge). The Turbo Charge feature provided by Moto is one of the fastest in the market under 15000 Rs. You can easily get enough charge to last a few hours in less than 30 minutes. The dual rear camera setup takes really good shots. The 12MP sensor takes high-quality pictures and the 5MP sensor allows for portrait shots. The portrait mode has several editing options which work quite nicely. The Moto G6 is a huge improvement over its predecessors in terms of camera performance. The low-light shots have improved greatly and now you can take some pretty decent low-light pictures with the G6. The Moto G6 comes with Android 8.0 and has a Stock Android UI. The UI is very smooth and there is no bloatware loaded on the phone. The Moto Actions feature is very useful, as it increases the convenience of the users. You can lock the phone with the fingerprint sensor and use the fingerprint sensor as navigation button to increase the screen space. There are other useful gestures also that help in day-to-day tasks like rejecting calls, starting up the camera, turning on flashlights. These gestures allow for quicker operations and ease to the user. The Dolby Audio App allows for customizations to the audio performance so that you can change it according to your preference. The app has several presets and you can also use custom ones, to personalize your listening experience. The speakers on the Moto G6 deliver loud audio and will be enough for most videos and music. There is a 3.5 mm jack also which is diminishing these days from many phones. There is an SD-Card Slot that can expand the storage up to 256GB, this is a boon for all those who need extra storage and have 2 SIM cards. Moto decided not to go with the hybrid Sim-Slot and we are happy they did, as now users will have room for expandability and 2 SIM cards at the same time. Recommended for your Older Phone- Use Dual Sim + microSD together, No more Hybrid Sim Slot Problem. The Moto G6 comes with a water-repellent nanocoating making it splash-proof. So your phone will be fine in the rain and will survive a little dunk in the pool. The Moto G6 features a face-unlock feature that works even in the low lighting conditions. The face-unlock is very fast and recognizes the face even with goggles or glasses. Front Camera of Moto G6 is average here and it is not like that will blow your mind. The Glass Back may add style to the Moto G6 it makes it quite slippery and you will need a back cover to add more grip so that you don’t drop your phone and break it. Since we didn’t feel anywhere lag but still competitors are providing a lot better processor and those belong to the series of Snapdragon 600. The Camera is very slow to load. There is a lot of lag when starting up the camera and considerable amount of pause between two shots. Even though the sensors have improved in image quality, this slow loading camera is still a problem for shooting moving objects. The IPS LCD screen reduces sunlight readability. The Moto G6 screen is a bit difficult to see in sunlight even at full brightness. This is mainly due to the display being IPS instead of AMOLED. There is no 4K recording even though older models supported it. This is a big step down for the Moto G6 as it is a newer version and should improve upon its previous versions. The glass back is a fingerprint magnet and gets smudged very easily. To prevent this you will have to use a good case that is grippy as well. There is no NFC, even though the Moto G6 has all the necessary sensors like the Gyro sensors, Proximity sensors, Accelerometer, and compass. NFC is a neat addition in these modern days and should have been included. So this was our take on the advantages and disadvantages of the latest Moto G6, read further for our final words on whether or not you should buy this smartphone. The Moto G6 is not a flagship device and you should not expect it to perform like one. It is a budget device and a pretty good one at that. There are a lot of great features on the Moto G6 which are very rare in budget devices, like a standalone SD-Card slot and stock Android UI. The display is great but with low sunlight readability, the battery is good and charges up quickly, but the camera loads up slowly, even though it takes great shots in both day and night light. The glass back is stylish but slippery and smudgy and there is no NFC. But the price tag of the Moto G6 makes it a great overall device and these minor cons can be overlooked. So, if you are looking for a fast and responsive device with good battery life and camera then the Moto G6 is the one. We hope you like our post “Moto G6 Pros and Cons” and for any doubt feel free to ask via comment.